The City of Grand Forks recently retained AE2S to perform stormwater master planning for a new 120 acre business and industrial park that is intended to offer a more upscale development environment with premier frontage along I-29 running through the City. 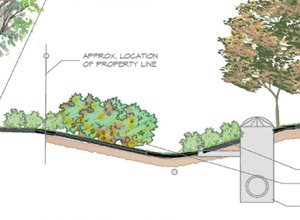 From a stormwater planning perspective, the project offered a few unique challenges. The first was the City’s desire to implement green stormwater infrastructure throughout the park to showcase ways the development community in Grand Forks could potentially adopt a different way of thinking when it comes to stormwater management. In addition to the green design features, the City was looking to expand an existing regional detention basin to serve not only the new development area, but also an area with future development potential adjacent to the park. Last, the City was looking to take a test drive of their new stormwater management design standards manual which AE2S assisted in providing QA/QC to the City throughout its compilation. 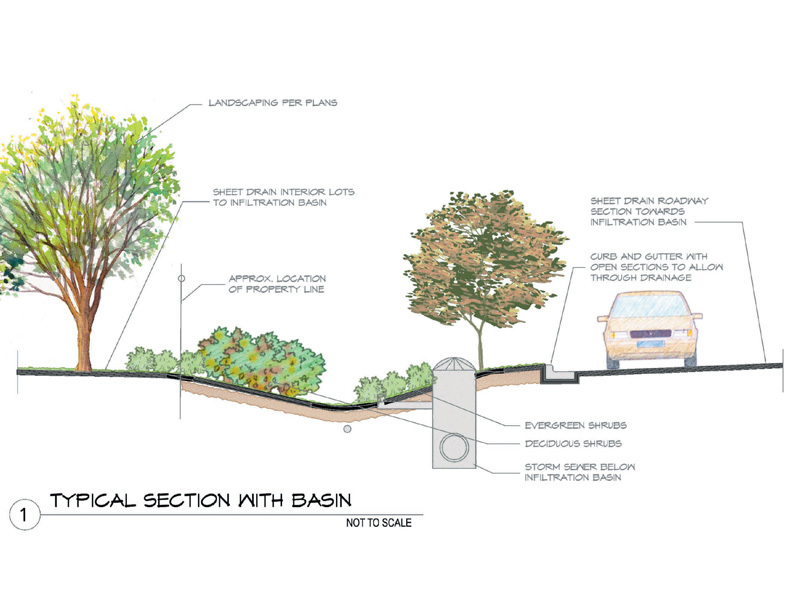 To address the green design requirement, AE2S helped the City plan a unique system of infiltration swales in appropriate ROW locations. AE2S water resource engineers were able to show succinct benefits of the proposed swale system by demonstrating through XP-SWMM modeling that the downstream regional detention basin could actually be sized with roughly 30% less footprint, allowing for more sellable park acreage. To bring it all together, AE2S crafted a concise planning document within the context of the City’s new stormwater manual to document the stormwater management design and to provide the City with an easy to follow road map for the park’s pending development.